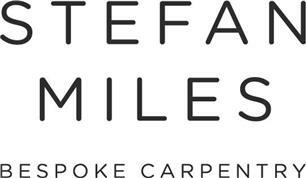 Stefan Miles: Bespoke Carpentry - Bedrooms, Carpenter based in Southampton, Hampshire. Stefan is a qualified carpenter and joiner with over eleven years’ experience in creating bespoke units for both himself and his clients. He has been whittling stuff out of wood for as long as he can remember and has many fond memories of learning the craft from a very young age. Since his first Fisher Price Toy Saw Bench given to him as a Christmas present many years ago, Stefan continues to seek excellence in every project he undertakes. Stefan is based in Southampton, Hampshire and offers high quality, bespoke built in units and fitted furniture. Stefan will be sure to make the most of your dead space, and transform it into a sophisticated storage solution. Although MDF is fast becoming the number one choice for fitted furniture, Stefan is equally happy to offer higher grade alternatives, such as; solid pine, solid oak and birch ply to ensure your units stands out from the rest. Please see our social media for more reviews and pictures of our work.